Dr. Susan Robbins will celebrate her 34th year as a UH faculty member in what has been a distinguished career as a social work educator, clinical and forensic social worker and substance abuse educator. An Associate Professor at the University of Houston's Graduate College of Social Work (GCSW), a program she considers to be one of the best in the country, Dr. Robbins was inspired to leave her personal legacy in the form of a planned gift. The Dr. Susan P. Robbins Faculty Endowment in the Graduate College of Social Work was established as a tangible tribute to her devotion to social work education and the GCSW. "I wanted to support a faculty member or doctoral student who is as devoted to teaching human behavior, specifically human behavior and the social environment, as I am," said Dr. Robbins describing the goal of her endowment. "I see fewer and fewer faculty members interested in teaching human behavior, which is a critical component of social work education. I not only want to see human behavior education continue, but also hope to see a broader viewpoint and application of this subject." In describing her desired scope for human behavior and the need to encourage more educators to pursue it, Dr. Robbins quotes a referenced journal article from her book, Contemporary Human Behavior Theory: A Critical Perspective for Social Work, "'If you're expected to be an expert on biological, psychological, social, economic and cultural dimensions of human behavior, you are undoubtedly a teacher of human behavior in the social environment.'" UH's Office of Gift Planning assists donors with making an immediate and lasting impact on the University through charitable bequests. Dr. Robbins believed this to be the best method to give because it reflects her ongoing devotion to social work and the GCSW. Such a gift also allows her to leave her own indelible mark on the profession and institution and provides a means for the College to honor future faculty members who have done outstanding work as social work educators, practitioners and advocates. What's more, she hopes her gift inspires her colleagues throughout the University to build their own legacy through a planned gift. "I certainly encourage more faculty members to consider gifts like these," Dr. Robbins said. "The Gift Planning office made the process simple and pleasant, and it's a great way to enhance both the University and the critical field of social work education for future students and faculty." When asked to describe her ideal faculty member or doctoral student who eventually would receive the Dr. Susan P. Robbins Endowment, Dr. Robbins states, "Someone with a broad knowledge base in human behavior and the social environment; someone who displays the ability for critical thinking and analysis; and someone who is willing to challenge assumptions. Social work and social workers are present in so many aspects of human life, which is why the profession is so important." UH's Graduate College of Social Work provides exceptional education for advanced social work practice, research, and leadership through teaching, as well as advancing knowledge and community engagement to achieve social, economic and political justice. The Graduate College of Social Work is ranked among the top 40 graduate programs in the nation by U.S. News & World Report and (tied for) 5th in the southern region. In addition to being one of the GCSW's noted faculty members, Dr. Robbins is a professional musician known nationally for her delta blues and ragtime guitar style, as well as her talents as a singer/songwriter. She received her M.S.W. from the University of Minnesota, her Ph.D. from Tulane University, is the lead author of two monographs on drug abuse prevention and has published several book chapters on drugs and drug abuse. To learn more about the GCSW, visit www.uh.edu/socialwork. 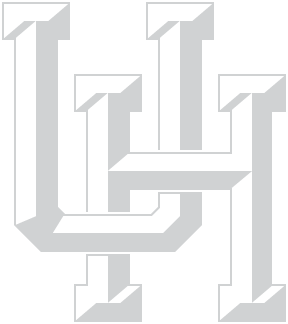 To learn more about giving to the University of Houston via your estate planning, visit UH's Gift Planning website.